• 15th April 2019. A Plus TV left Astra 2 11538 V 22000 5/6 DVB-S QPSK. • 13th October 2018. A1 TV left Astra 2 11626 V 22000 5/6 DVB-S QPSK. • 8th October 2018. Channel 44 new frequency on Astra 2 11171 H 22000 5/6 DVB-S QPSK. • 4th October 2018. Urdu1 Europe left Astra 2 11112 H 22000 5/6 DVB-S QPSK. • 1st September 2018. PTV Prime new frequency on Astra 2 11224 H 27500 2/3 DVB-S QPSK. • 23th August 2018. Islam TV new frequency on Astra 2 11224 H 27500 2/3 DVB-S QPSK. Pakistani muslim religious television Channel based in the United Kingdom. Sorry, the information above is valid for Europe, not for Pakistan. In Germany I can't see ARY News and Dunya News from few days ? Few days ARY NEWS not seen plz inform new frequency for EU reagon. Dear sir i want to know that the Pakistani channel are possible to see on tv in India with the help of free to air DTH. If it is possible then please send the all detail of setting for DTH. satellite name and frequencies. 1st July 2015 ARY News moved from satellite Eutelsat 28A 28.5º East on Super Beam to satellite Astra 2E 28.2º East on UK Ku Spot Beam. Perhaps now your dish is too small to receive the Astra 2E UK Spot Beam, or needs an adjustment, or you live in a null zone like south-west Spain and you can only receive European Beam. Read the previous comments on ARY News, they also apply to Dunya News. On 1st July 2015 Dunya News moved from satellite Eutelsat 28A 28.5º East on S1 Beam to satellite Astra 2E 28.2º East on UK Ku Spot Beam. The frequency is the same: 11426 H 27500 2/3. I am from norway i can,t see ARY news dunya from one month.I have also moter with dish but the moter also can,t find. Is it possible to connect to Astra 28.2 to get all them channels I get in uk? If yes then how big dish would I need? If not then what is alternative solution. Sorry I forgot to mention Pakistan. Can I connect to Astra 28.2 E from Rawalpindi Pakistan. Thanks! Please advise the Satellite and Channel frequency for watching Dunya News in AlKhobar located on the Arabian Gulf in Saudi Arabia. Read carefully the table above (Europe beam, UK Spotbeam) and the previous comments. if any one receiving astra 2 singnals in qatar plz do inform me cuz i have invited many satellite installers in qatar to install astra 2 but no one succeed in it. How to see Pakistani channels On doha Qatar. Hi, I'm Mubasher Hussain. I live in Switzerland. I need your help to search out pakistani channels on satellite. I does not got any channel in astra 28e. There was no signal. How can i got pakistani channels??? You need someone who knows how to install a satellite dish antenna. I'm Asif. I'm living in Germany. .I need your help to search Urdu Channels for news of Germany . So how I can get German news in Urdu? ? I'm from Spain how will Duniya News work in Europe? Can you help me on that? Dunya News on 11426 V, a UK Spot Beam transponder. It depends on where you are in Spain. For example, you can receive it in Madrid or Valencia, but not in Málaga or Seville. Read the comments above about UK Spot beam reception to get an idea. If you are in a coverage area, channels on UK Spot beam requires a larger dish than channels on Europe beam. Dunya News and ARY QTV broadcast on a UK Spot Beam transponder (11426 V). The rest of the Urdu-language channels broadcast on Europe beam transponders (11479 V, 11568 V, 11671 H, 11553 H...), you can receive them all over Spain. Hello i m from Barcelona Spain plz.any information about Ary news.....frequency etc. ARY News has stopped broadcasting on satellite Astra 2 28.2º East as indicated on the list above. 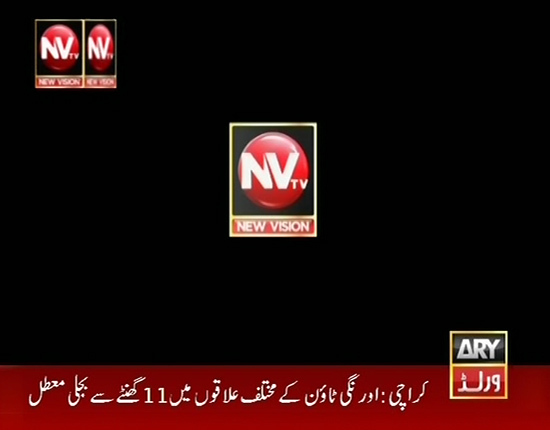 Apparently New Vision TV or ARY ورلڈ (ARY World) on 11224 H would be the continuation. Hi, I live in Spain. Can I receive UK beam if I live in Logroño,La Rioja? And, can you publish New Vision TV+1 frequency? Bol tv wil be free for ramadan astra 2 ?? where to adjust dish antenna for pakistani/urdu channels in South Sudan (Upper Nile state). In Italy I can't find Urdu one Europe please improve your signal quality and help us.. I just moved to Sierra Leone, West Africa. Will the same settings work for me? Or can you suggest something else, so that I can watch Pakistani channels here. Thanks. ary is now under new name " new Vision"
ARY Digital is available in the UK as ARY Family. Dear Webmaster,can you please change the fequency of ARY Family if it changes to the European beam later this or next year? I live in Spain and I can't recive it. Basically you need : • a digital satellite receiver and a satellite • a dish antenna of suitable size and correctly installed to pick up the satellite signal (Astra 2 28.2º East). ARY Family and Dunya News now on Europe Beam Astra 2 28.2º East. Urdu1 Europe is available again in the UK-Europe. It had a technical glitch. Now it will have dramas that never have been aired in the UK-Europe and local productions. Hi, this is Omair Khan. Right now I am in residing near Basrah Iraq. Here we have dish which is able to connect Nilesat satellite. Is it possible to catch Pakistani free to air channels? ARY Family and Dunya News left 11426 V (UK Spotbeam) Astra 2 28.2º East. Now only available on 11112 H (Europe Beam) Astra 2 28.2º East. Hi, I tried manually adding channels on 11112 H 22000 but I am unable to receive any channels on this frequency. Also, when I found other channels on different frequency, I stored them, however when I go to 'other channels' there are no channels showing in the 'other channels'. What could be the issue please. Hello thanks for ary family and urdu 1. Pl arrange any carton chanel for childs. Most of the Asian channels (Ary family, new vision, urdu 1, geo etc) are gone since the Sly reschuffle on May 1st. The frequency is the same but it shows no signal... Any idea of why this happened? What could be the cause of the sudden no signal problem ? Perhaps there is a problem with you satellite antenna. Can you measure the signal levels of the 11112 H transponder ? No problem with tha antenna dish... All my other French friends have the same problem. Hum europe, hum family and a few others are still working and giving full signal (100%), but most of the other channels are gone and show no signal. Channal 44 and A1tv signal nhi aa rahy. Hum Network will be launching Hum News in the UK on Monday on Sky Chanmel 787. Hum News on Astra 2G Europe Beam. A1 TV is always on 11626 V 22000 but without picture or sound. If you point your dish at Astra 28.2° East, you will get the channels in the above list from PTV Global to Islam TV.